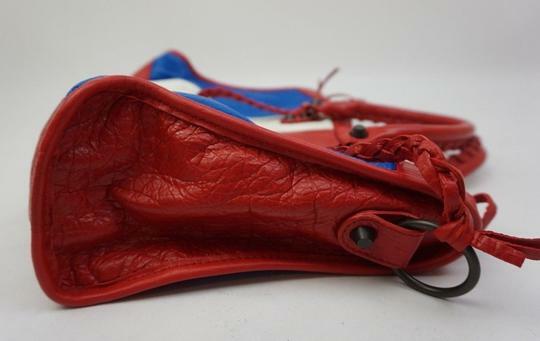 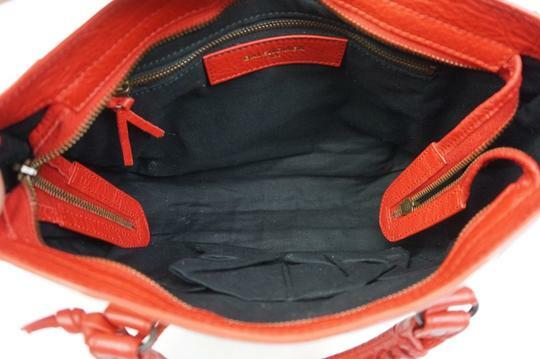 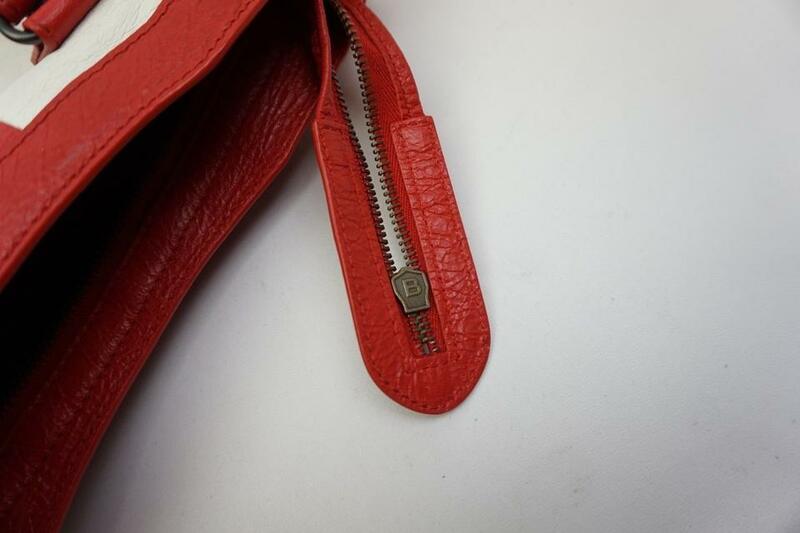 The zippers are missing the leather pulls and the strap has been replaced. 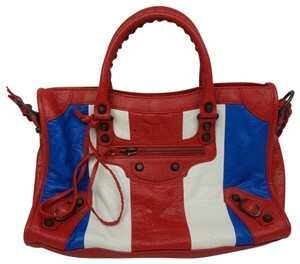 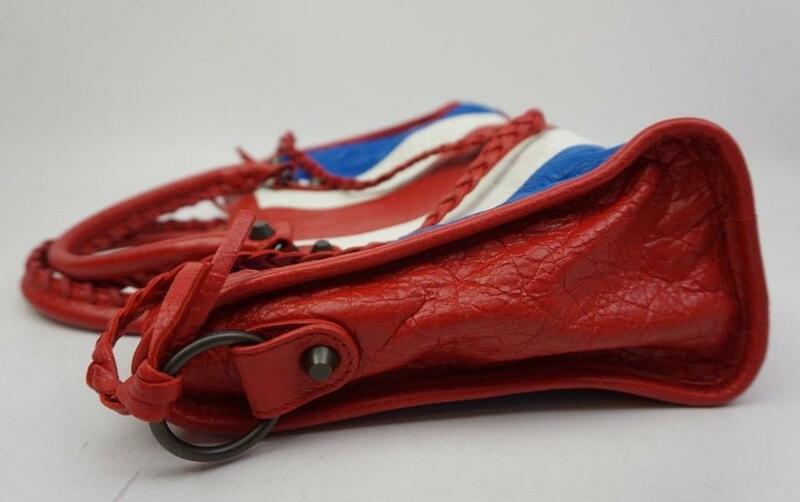 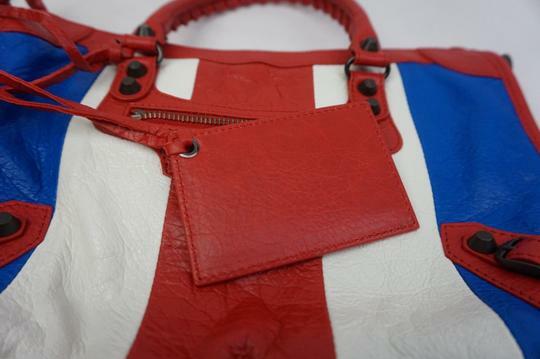 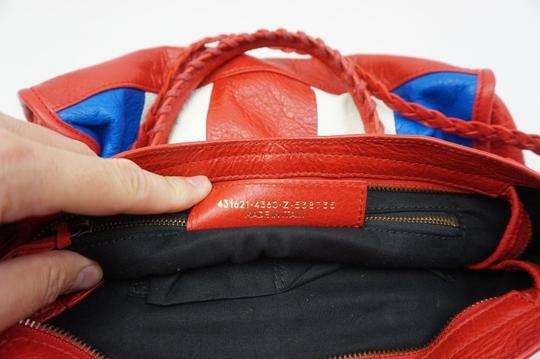 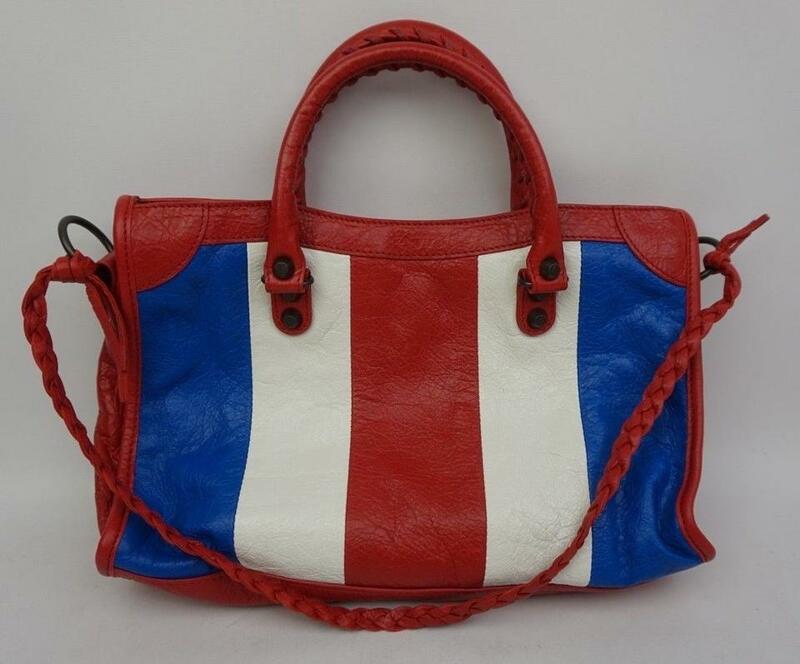 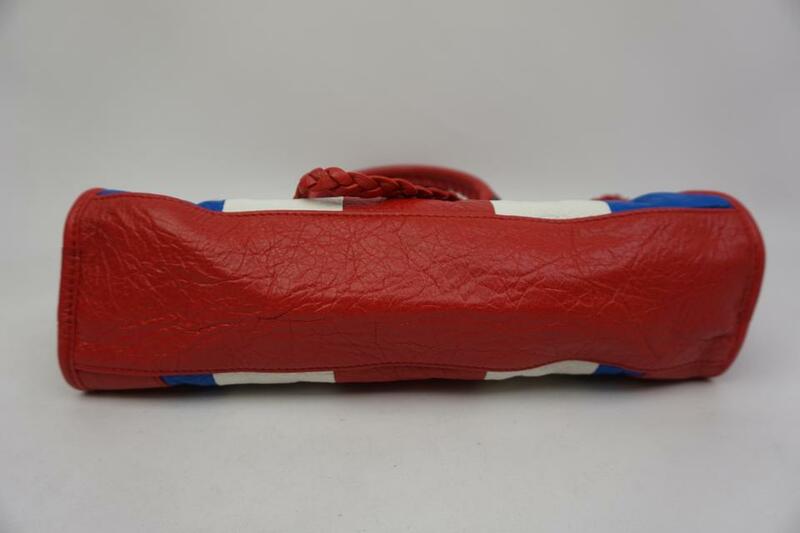 This is a red, white, and blue Balenciaga Classic City Stripe Leather Tote. One of the most iconic bags around gets a striking refresh in graphic stripes. 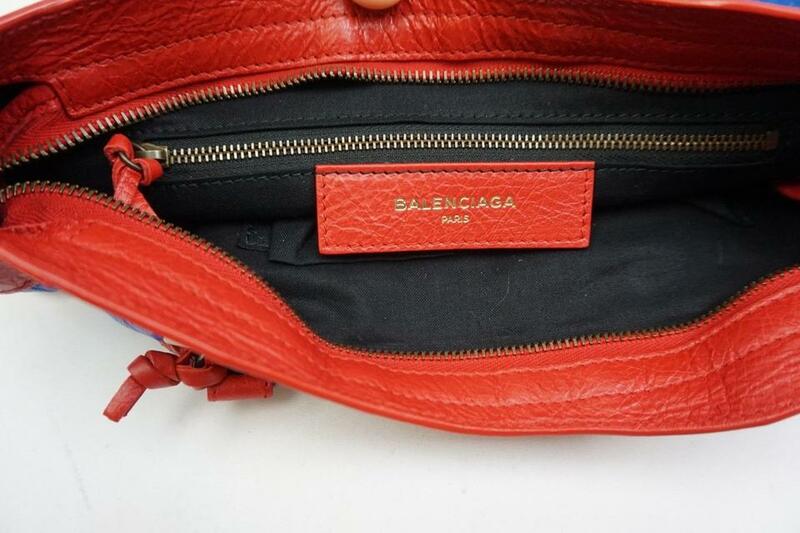 Lambskin leather heightens the bag's luxe look and feel.